Bro. Jimmy Tubis at the worship service of San Pedro, Laguna Outreach, February 2011. Bro. Jimmy grew up being a sissy. At age 12, all his friends were girls. As he grew older, he became an outright gay. He loved going out at nights and reveling in disco houses with his gay friends. He learned to smoke marijuana and later on became a pimp in a “beerhouse”. Every night, he went out to do this job and at the same time to indulge in his vices. One night, he joined a beauty contest for gays in an adjacent town. After the pageant, he and his gay friends went to a disco house to celebrate. It so happened that at the same night, his “kuya” (older brother) and his friends went out, too, and entered the same disco house. Bro. Jimmy couldn’t be recognized for he was wearing a complete girl ensemble from head to toe. It didn’t take long and his older brother (not recognizing him at all) and his friends came to their table and they asked Bro. Jimmy’s friends (who were all wearing girl’s clothing complete with makeup) to dance, leaving Bro. Jimmy and his older brother at the table. Later on, his “kuya” asked him to dance, too. They “got to know each other”. Bro. Jimmy’s name was Shellylou, a name he often used when joining gay pageants. Unfortunately, his older brother “fell in love” with Shellylou. The next morning, Bro. Jimmy asked his brother about his night in town, and his brother told him about meeting a “girl” named Shellylou and how he had fallen for “her” and he was going to look for “her” house. Too scared to let the problem become worse, Bro. Jimmy confessed to his “kuya” that he was Shellylou. His “kuya” was so angry he beat Bro. Jimmy black and blue, pouring out all his fury and frustration why his younger brother became hopelessly gay. His father told him to leave their house. They couldn’t accept him as he was. Bro. Jimmy left their home. This was in 1983. He boarded a ship bound for Manila (their family lived in Visayas) although he didn’t have money. He pleaded to the ship’s officer and he was allowed to sail even without a ticket, but he had to endure the trip without food. Bro. Jimmy tried to look for their relatives in Manila. Later on, he applied as a nanny (for he was still wearing girl’s clothes and long hair) to a Christian family. 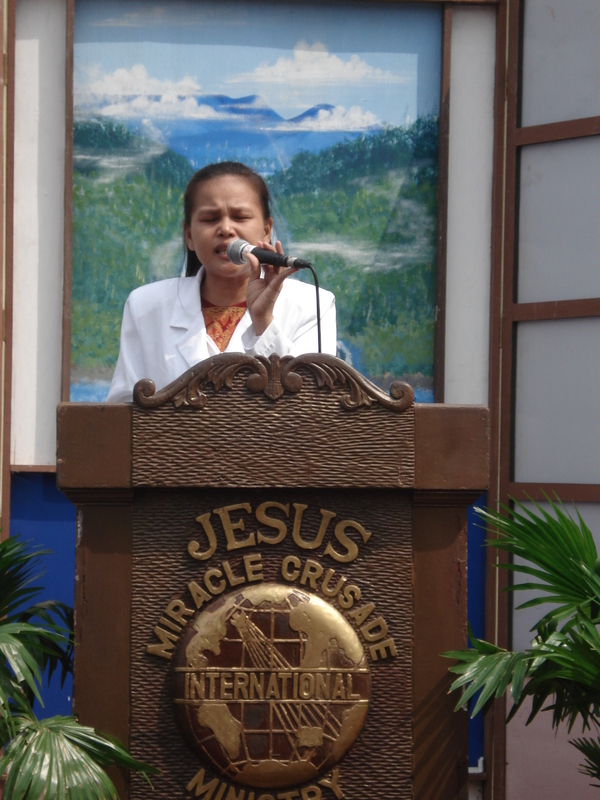 When the mother found out that he was actually a boy, instead of dismissing him, she brought him to the worship service of the JESUS MIRACLE CRUSADE INTERNATIONAL MINISTRY. Bro. Jimmy accepted the Lord Jesus Christ as his Lord and Savior and was baptized in His name. Slowly, Bro. Jimmy’s life changed. After four years, he and his “kuya” (brother) met again in 1987, and that was during the JMCIM crusade in Luneta Park, Manila. His “kuya” was surprised to see him changed, decently clothed as a man. He and his older brother joyfully reconciled. Later on, Bro. Jimmy and his father also reconciled, forgiving each other for what each had done. Bro. 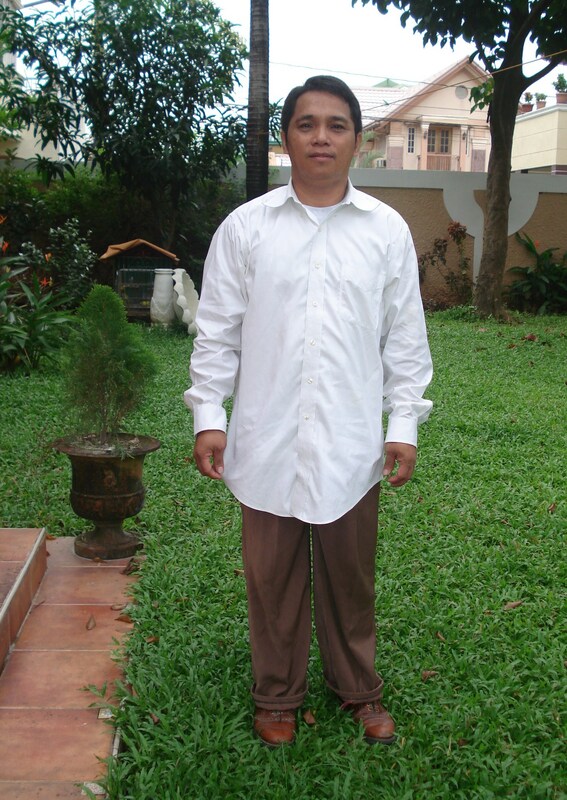 Jimmy became a pastoral worker of JMCIM and he continues to serve the Lord faithfully to this day. Bro. Richard Palmones at our home, Dec. 6, 2010. Before Bro. Richard Palmones came to know and serve the Lord, he worked as a machine cutter operator in a furniture factory. He was full of vices – alcohol, women, gambling, drugs. One morning in 1990, after a whole night of indulging in his vices, he went straight to his work in the factory. Still drunk, he operated the machine to cut furniture without noticing a piece of wood that was lodged in the machine. When the machine started running, the piece of wood flew to his left eye smashing his eyeball. He instantly blacked out and collapsed. When his consciousness returned, he was already in the hospital. After almost a week in the hospital, the doctor told him that they needed to operate on his left eye because his eyeball was broken. His injured left eye was completely blind. He needed to prepare a large amount of money for the surgery, but his doctor couldn’t assure him if he would recover his sight in his left eye. Bro. Richard decided not to have surgery. He was sent home with a lot of medicines for his eye. Not long afterwards, his right eye grew dim due to the many medicines that he was taking. His right eye had developed cataracts. With the left eye completely blind, Bro. Richard could hardly see his way. He was led around by his wife. He also suffered pain in his left eye and it felt like it was full of splinters and dust. During this time, his beloved wife was already a born-again Christian and was diligently attending worship service in JESUS MIRACLE CRUSADE INTERNATIONAL MINISTRY. Before the accident, she used to invite Bro. Richard to attend worship service, and although he yielded to her invitations, he remained hard-hearted. Seeing his desperate condition, Bro. 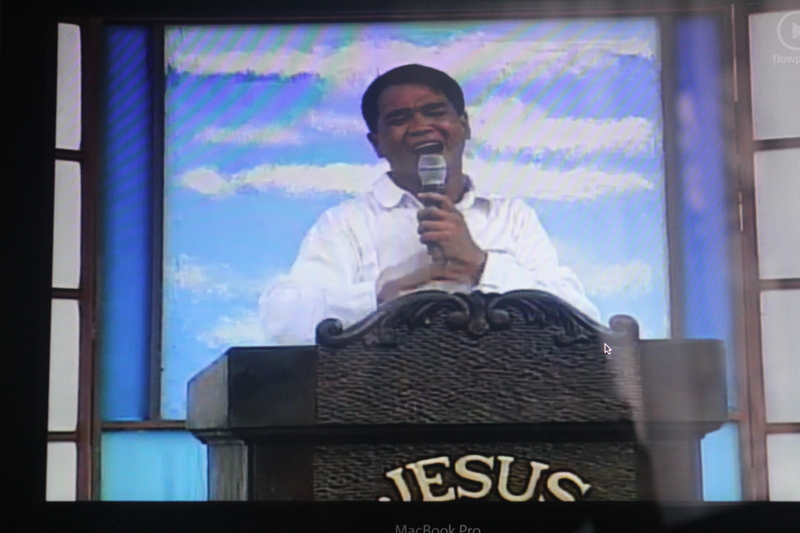 Richard’s wife urged him to watch the TV program of JMCIM and receive the Lord Jesus Christ in his life. Bro. Richard’s heart has changed after the accident. He became repentant and started to “watch” the TV program. Not being able to see clearly, he listened intently to the testimonies and preaching. Soon, he was brought by his wife to the worship service of Jesus Miracle Crusade International Ministry. He received Jesus Christ as his Lord and Savior and was baptized in water in His name. After baptism, his right eye regained its complete sight, and he felt like splinters and dust fell from his left eye. But he didn’t receive sight in his left eye instantly. Bro. Richard’s life was completely changed. He forsook all his vices. He remained faithful in serving the Lord. He offered up prayers with fasting. Not long afterwards, his left eye was completely healed by the Lord and he received his sight. He left his work and surrendered his life to the Lord. 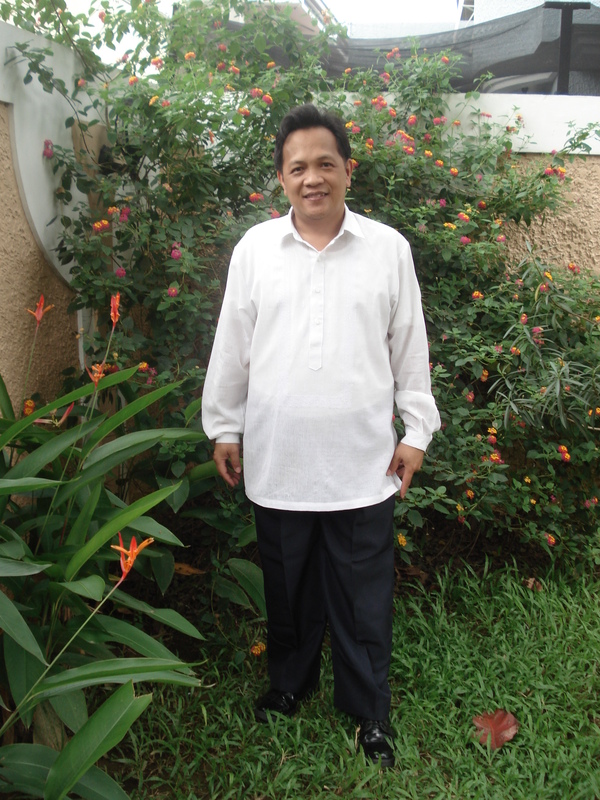 He became a worker in JMCIM and later on became a preacher of the church. Together with his whole family, Bro. Richard continues to serve the Lord faithfully to this day.